Maintaining the landscape of your property can be a tedious task. The value of a property which is left wild and unmanaged deteriorates with passing time. Lack of regular tree care maintenance increases the chances of calamities and safety hazards during natural occurrences like storms and blizzards. This makes it absolutely necessary to regularly maintain the panorama around your house. Lucky for you, KnowTrees LLC have just the right answers for your problems. We are a group of highly qualified and trained tree arborists providing expert tree care and removal services to areas in and around Lawrenceville, Buford, and Bethlehem, GA. Be it a residential or a commercial property, big or small, we have a solution for everyone. Any of the above reasons is good enough to plan removal of the trees. Our tree specialists are here to carefully assess your landscape to determine the best course of action. 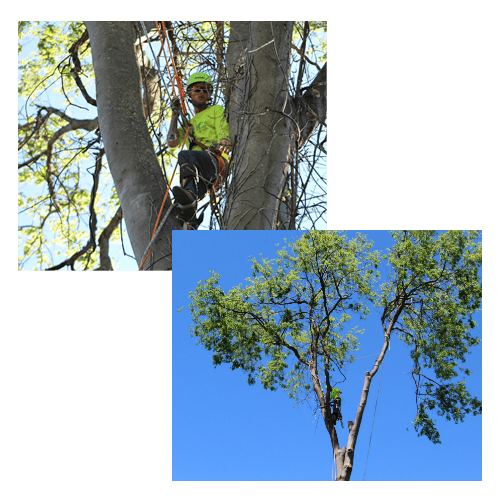 Over the years, we have become the most preferred tree cutting companies and removal service provider of homeowners and business owners in Lawrenceville and Buford, GA. To schedule a timely and effective tree service, call us today. Unmanageable tree roots may pose a threat to foundations, driveways, and underground utilities. Trees may block out light, inhibit adjacent lawns, or other natural growth. Trees may be situated dangerously close to buildings, play structures, or utility lines. High-maintenance trees are dropping seeds, twigs, and branches.